In today’s dynamic and agile business world, the technology we choose must be capable of keeping up with the rapid changes, along with having good prospects for the future. Compromising on density or usability is not an option. As your business develops and expands, your network technologies should also be innovative and adaptable. 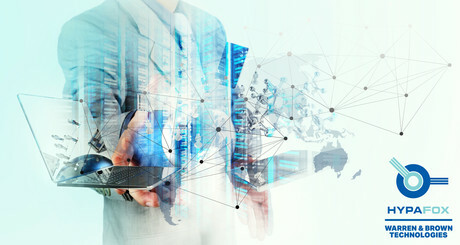 Managing network connectivity is becoming more challenging, with the ever-rising demand for high-speed cloud computing, data storage, server virtualisation and low-latency connectivity, reliable data centres are becoming more important and bigger than ever. Hyperscale data centres are now a reality and passive solutions need to seamlessly drive efficiency to meet the requirements of current and future networks. Due to its fully scalable and configurable design, MTP®/MPO connectivity is proving to be the solution of choice for many network environments, including data centres, enterprise, data exchange and mobile backhaul networks, all of which benefit from reliable, high-density cabling infrastructure. However, one of the major drivers of MTP/MPO solutions are data centre networks. By trying to minimise potential failure points and simplifying connectivity, data centre operators may seek out options that provide them with the best capabilities of managing density and connectivity. A big challenge for data centre operators trying to maximise floor space and increase density is being able to effectively manage a high number of connections, without disrupting existing services and risking potential outages. HypaFOX is the industry-leading high-density MTP/MPO cabling solution from Warren & Brown Technologies (WBT) and addresses many of the challenges faced in high-density optical fibre networks. In addition to providing a high-density solution for optical fibre networks, another major benefit of the HypaFOX solution is its modularity and ability to support high-speed links. New links can easily be added, and upgrades are available and easy to implement to support higher networking speeds. With the ability to support 10G, 40G and 100G transmission systems, the HypaFOX MTP/MPO solution offers flexibility and scalability whilst providing superior cable management and protection, providing the perfect balance between density and usability. The 12- or 24-fibre cable construction also has a smaller OD than regular fibre-optic cable, which reduces load in raised floors and cable ducts as well as reducing congestion. MTP/MPO connectivity solutions support parallel optical communications, which enables data to be simultaneously transmitted and received over multiple optical fibres. The HypaFOX solution has been designed to support various polarity options as defined by the TIA/EIA 568 standards, as well as providing easy configuration and upgrade options. Due to its small form factor, MTP/MPO connectors and micro cables have already provided a space-saving solution. However, greater space savings, ease of use and efficiency gains can now be realised with WBT’s high-density solution. All components in the HypaFOX solution are pre-terminated, removing the need for splicing on site, proving a true plug-and-play solution for fast and efficient field deployment. The range of components includes a series of connectors, cables, patch cords, cassettes, patch panels and cable management solutions, all of which are standards compliant. The modular system allows for rapid deployment of high-density data centre infrastructure, as well as improved troubleshooting and reconfiguration during Moves and Changes (MACs). Using HypaFOX MTP/MPO cassette modules provides flexibility in the ever-changing data centre environment, catering for low to medium density densities of 12 or 24 fibres to ultrahigh-density applications of up to 36LC fibres per cassette. The modular system easily caters for expansions and upgrades and can be tailored to suit a variety of network configurations. HypaFOX MTP/MPO cassette modules provide secure transition between MTP/MPO and LC or SC connectors. They are used to interconnect MTP/MPO trunk cables with LC or SC patching. These cassettes can be mounted in 1RU or 3RU HypaFOX patch panels. The slim-design cassettes allow for rapid deployment with their innovative quick release install method. Various cassette options are available, including MTP/MPO, LC/SC/ST patch only, RJ45 copper, fibre-optic splitter cassette as well as other custom assemblies, delivering significant installation savings with no field terminations required. Certain cassette models are also available with front MTP/MPO ports, providing single-sided patching access. One of the major benefits of the HypaFOX solution is that it provides the perfect balance between density and usability. By providing up to 144LC fibres in 1RU of rack space, cabling footprints can be better optimised and utilised, thereby saving space and reducing congestion. The major element of providing such a high-density offering is the ability to easily access patching fields and minimise disruptions during MACs. The HypaFOX solution also provides superior cable management and protection, allowing the solution to support future network growth. When used with Uniboot LC duplex patch cords — with optional push/pull tabs — further efficiencies can be realised. The HypaFOX solution is a complete end-to-end concept, covering every aspect and requirement of high-density network deployments as well as providing optimal cable management. Deploying MTP/MPO fibre-optic networks can be a challenge and understanding the correct product configurations to suit various polarity options can be daunting. WBT also provide all the necessary customer service and support to properly identify, design and deploy your network connectivity infrastructure. With a wide variety of connector grades and options, the HypaFOX solution can be customised to suit various applications and budgets. Providing local technical and network design support, stock availability, as well as fast production and delivery times, WBT delivers a level of expertise and service that allows you to deploy your network on time, on budget and without headaches. Legrand introduces LCS3: three dimensions of excellence for data centers. Our ECD (Electrical+Comms+Data) magazine and website provide busy electrical, data and communications contracting, wholesaling and engineering professionals with an easy-to-use, readily available source of information that is crucial to gaining valuable industry insight. Members have access to thousands of informative items across a range of media channels.